SAO PAULO (Reuters) – Brazil’s far-right presidential frontrunner Jair Bolsonaro said on Saturday he does not rule out keeping acclaimed central bank chief Ilan Goldfajn in the job. At the helm of the central bank since June 2016, Goldfajn has kept a tight lid on inflation and was considered the best central banker by magazine The Banker for taming inflation in Latin America’s largest economy. “I am not sure if he will be kept, but what is working should be kept,” Bolsonaro told journalists in Rio when asked about Goldfajn’s future with the central bank. Goldfajn is preparing to step down by the end of the year, Bloomberg reported on Thursday, in a move that could deprive the country’s incoming president of a widely respected steward of the economy. 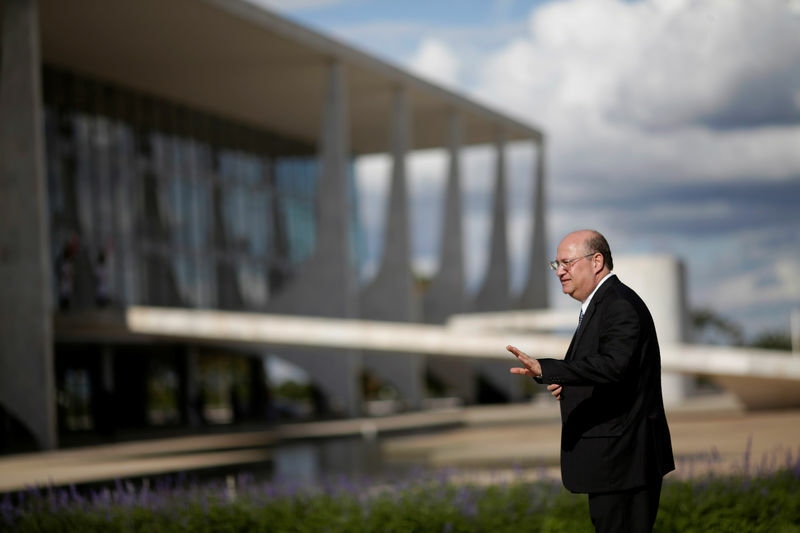 As the Brazilian central bank is not fully independent, incoming presidents typically replace its chief, bringing markets fear of political interference. Brazil’s president Michel Temer will leave the office on Jan. 1. According to a recent survey by pollster Datafolha, Bolsonaro extended his lead over his leftist rival Fernando Haddad, looking likely to be elected on an Oct. 28 runoff vote. Bolsonaro had 59 percent of voter support, compared to Haddad’s 41 percent. Bolsonaro also said on Saturday that he intends to tap astronaut Marcos Pontes as his science and technology minister in his government. A conservative congressman favored by financial markets, Bolsonaro had already announced some names for a ministry. Banker Paulo Guedes would be appointed as economy minister. Retired army general Augusto Heleno Pereira would be his defense minister, while congressman Onyx Lorenzoni would be named chief of staff. Bolsonaro also praised U.S. president Donald Trump. “He wants to make America great and we want to make Brazil great,” the former army captain told journalists. Earlier this month, an adviser to Bolsonaro said he would follow Trump’s nationalist agenda on foreign policy.